LISBON, PORTUGAL - OCTOBER 10 : Cristiano Ronaldo (7) of Portugal in action during the FIFA 2018 World Cup Qualifier soccer match between Portugal and Switzerland at Estadio do Sport Lisboa e Benfica on October 10, 2017 in Lisbon, Portugal. American soccer fans were devastated last fall when the United States men’s national team failed to qualify for the 2018 FIFA World Cup. When the quadrennial tournament starts on June 14 in cities throughout Russia it will be the first time since 1986 that the Red, White and Blue won't be a part of the world's biggest sporting event. All 64 games will air live on Fox or Fox Sports 1. (Telemundo will carry Spanish-language telecasts.) The top contenders among the 32 teams include defending champion Germany, five-time winner Brazil, Spain, Argentina and France. Looking for a sentimental favorite? Iceland (population roughly 340,000) is the smallest country ever to qualify. The well-organized Nordic underdogs upset England in the European championship two years ago and rolled through World Cup qualifying with a helpful assist from their exuberant fans and their signature "thunderclap" celebration. "To have so quickly announced themselves with authority and success, that's one thing," Lalas says. "Now the World Cup is where we really figure out what this team is. They will certainly not surprise any of the teams in their group. I think they're going to have a lot of people gravitating to them and they're going to be labeled an underdog, whether it's fair or not. Don't sleep on them, because they will make you pay." For those looking to keep their rooting interests in North America, Mexico is the region's best hope as they aim to break a streak of six straight World Cup losses in the Round of 16. Though Lalas calls Mexico and its first-round opponents (Germany, Sweden and South Korea) this year's "Group of Death," he believes the squad can advance, and potentially reach the quarterfinals for the first time since 1986. "There is a quiet optimism for this Mexico team to finally get into that promised land out of the Round of 16," Lalas says. "I have no problem picking them coming out of the group." The tournament kicks off Thursday, June 14 with host Russia playing Saudi Arabia (11am/10c, Fox), while other early group-stage games of note are Portugal vs. Spain (Friday, June 15, 2/1c, Fox), Iceland vs. Argentina (Saturday, June 16, 9am/8c, Fox) and Germany vs. Mexico (Sunday, June 17, 11am/10c, Fox Sports 1). Expect iconic performances from superstars Cristiano Ronaldo (Portugal), Lionel Messi (Argentina) and Neymar (Brazil) — but the World Cup also has the power to create new heroes. "We're going to find this summer that there's someone we're not necessarily talking a lot about [now] whose life is going to completely change," Lalas says. "They will use this spotlight to catapult themselves into superstar status. And that is always fun to see." Who Is Beth Mowins, the NFL's Latest Play-by-Play Announcer? 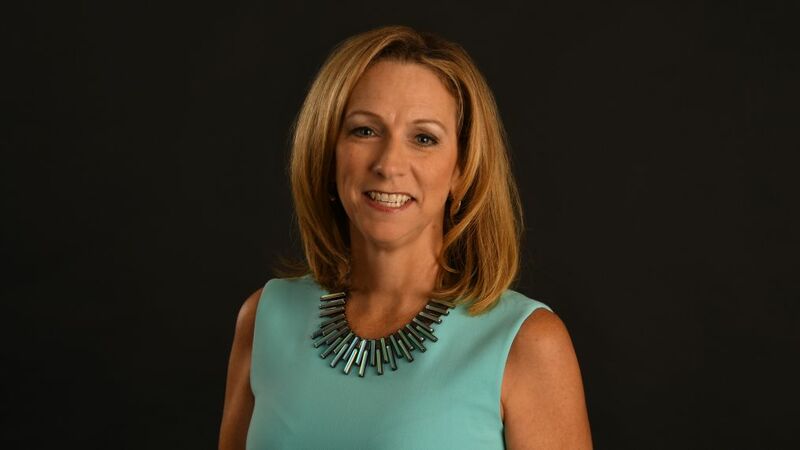 ESPN sportscaster Beth Mowins is ready to take the field as the second woman to call play-by-play in an NFL regular season game. Here are seven things to know about her. The deal is reported to take effect in October 2019. 2/1c Group D winner vs.